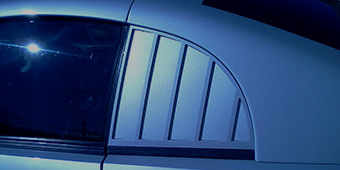 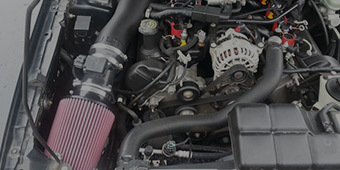 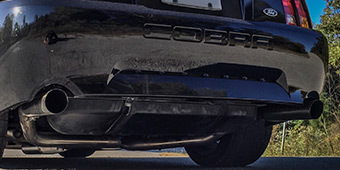 The New Edge style of Mustang rolled out in '99 brought an explosive upgrade to the Mustang's looks, with fiercer creases, leaner lines, and bolder wheel arches. 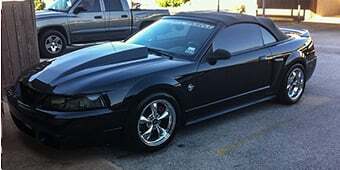 Adding 1999-2004 Anthracite Wheels with in-your-face 7-spoke 10th Anniversary Cobra design brings fresh excitement to your classic 'Stang. 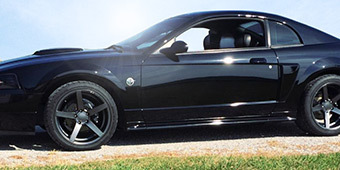 These wheels, with their tough gunmetal finish and brightly machined lip, fit all '99-'04 trims, including the SVT Cobra, Mach 1, Bullitt, GT, V6, and various special editions. 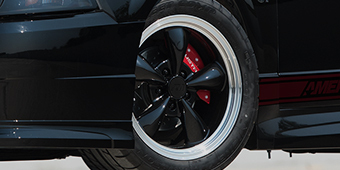 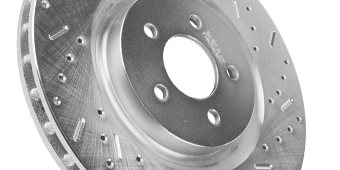 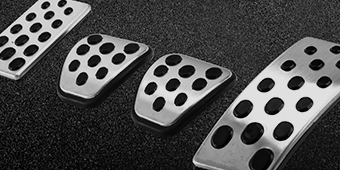 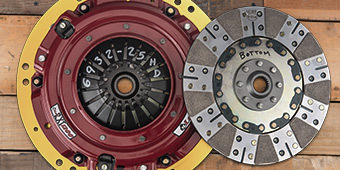 To support winning a ground-pawing muscle car stance, or add an extra jolt of traction – or perhaps both – these wheels come in both 17 inch and 18 inch diameters, plus several widths for staggering. 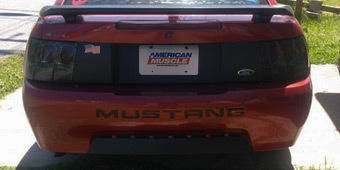 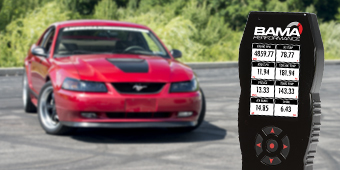 AmericanMuscle also offers staggered Sumitomo, Nitto, and Mickey Thompson wheel and tire kits.